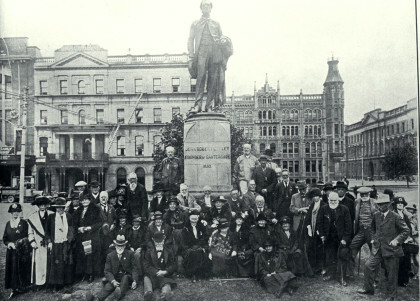 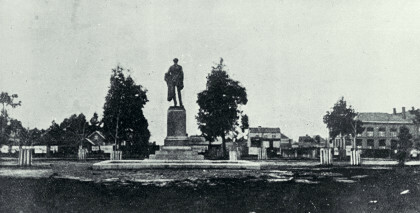 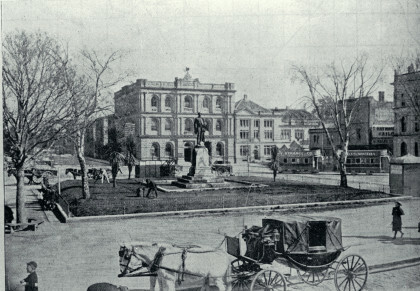 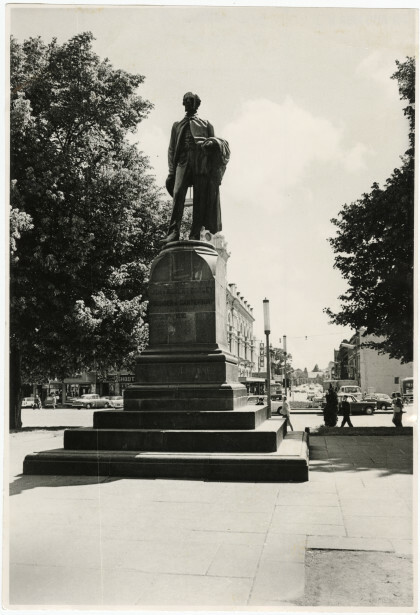 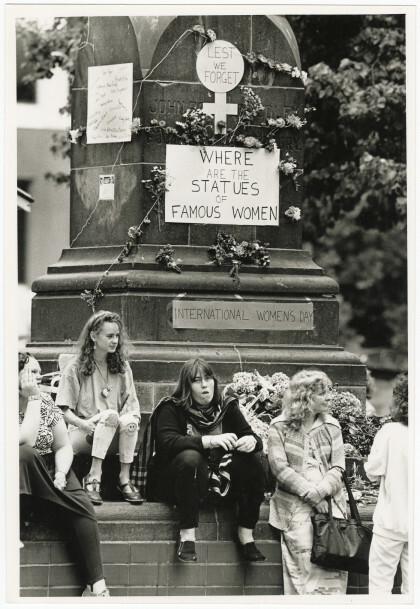 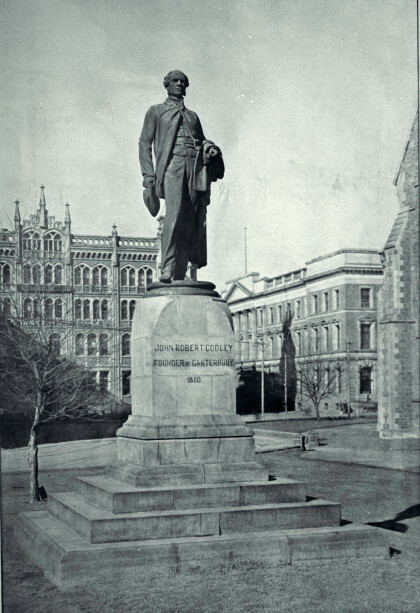 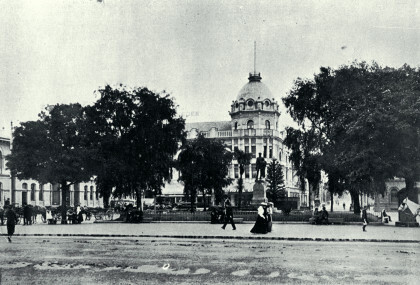 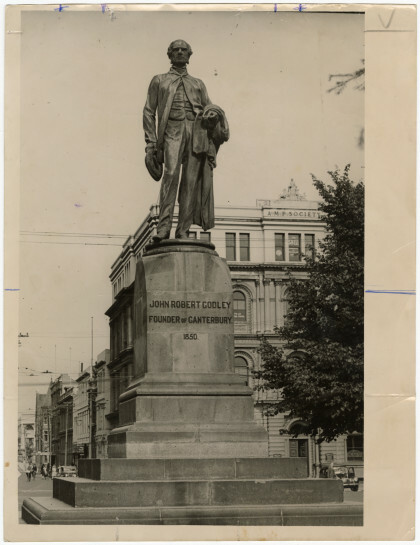 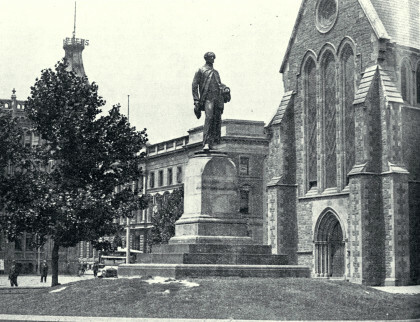 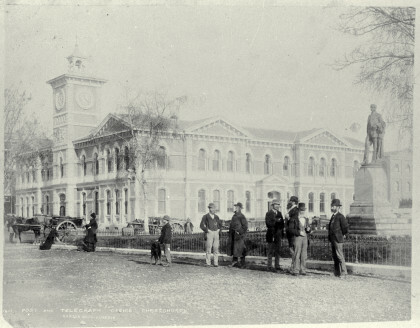 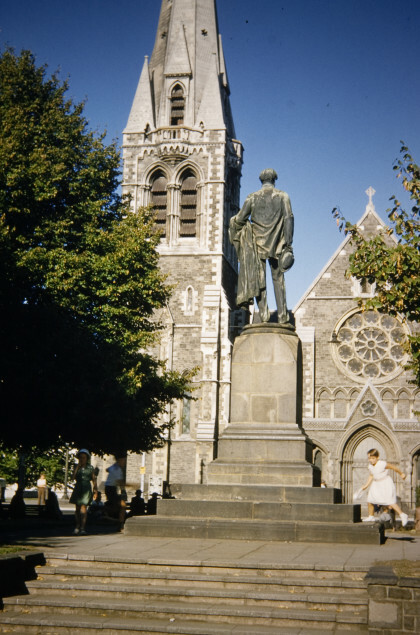 Statue of John Robert Godley in Cathedral Square. 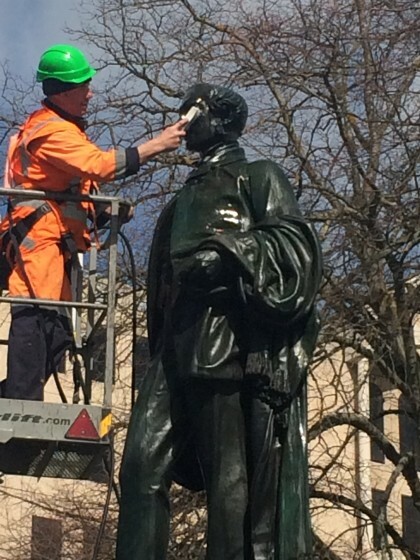 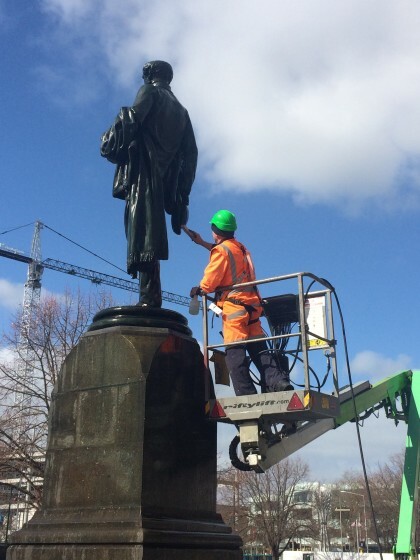 Worker cleans statue of John Robert Godley in Cathedral Square. 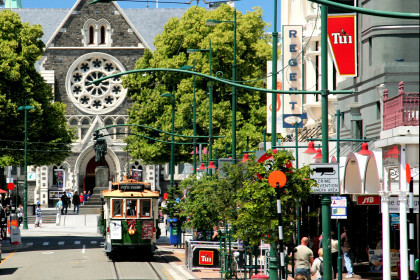 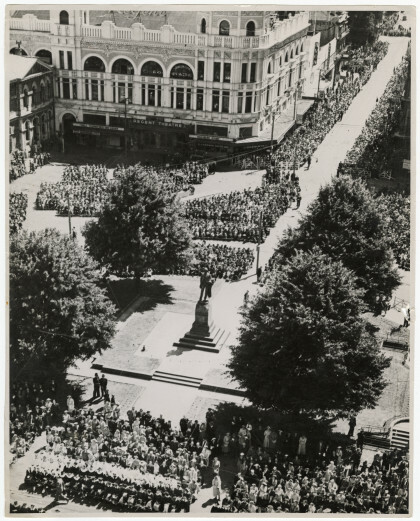 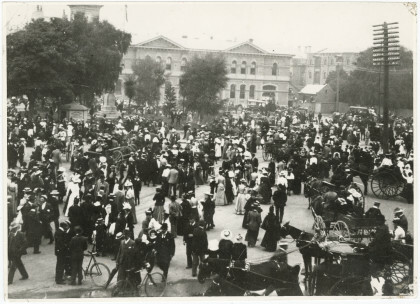 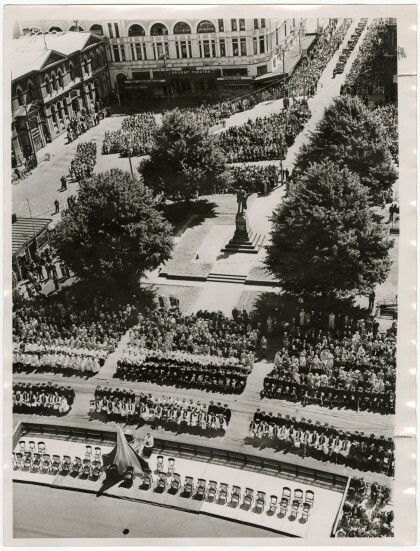 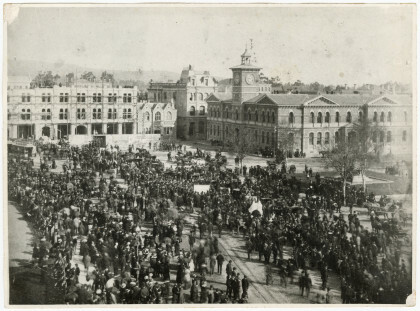 Thanksgiving service held in Cathedral Square.